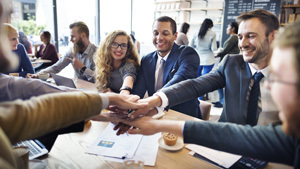 A new online program from Rochester Institute of Technology launching on edX will help learners hone their "soft skills" — the interpersonal, communication and social intelligence skills that help build relationships, improve productivity and foster collaboration in the workplace. The Soft Skills Professional Certificate program will consist of six, three-week offerings designed for working professionals. Each module features videos from the instructors, readings and discussion boards, and takes about seven hours per week to complete. Visual Presentation (starts July 31, 2018). Students can take the modules for free, or opt to pay a fee to earn a verified certificate upon successful completion of all the offerings. Verified learners also have access to additional learning opportunities, such as live events hosted by subject-matter experts. "Soft skills are power skills that require practice," said Andrea Hickerson, associate professor and director of RIT's School of Communication, in a statement. "With this new program, professionals can hone the skills they need for promotions and management-level positions." "RIT has already been able to help more than a quarter million people through edX programs, and we're excited to add our first Professional Certificate program," said Thérèse Hannigan, director of RIT Online. "This is a great way for people to get connected to RIT and become aware of our terrific communication programs." Enrollment for the program is now open. For more information, visit the RIT site.